Catholic News World : Wow Statistics show - Worldwide number of Catholics Grows to 1.4 Billion People - One of the Largest Religions in the Globe! 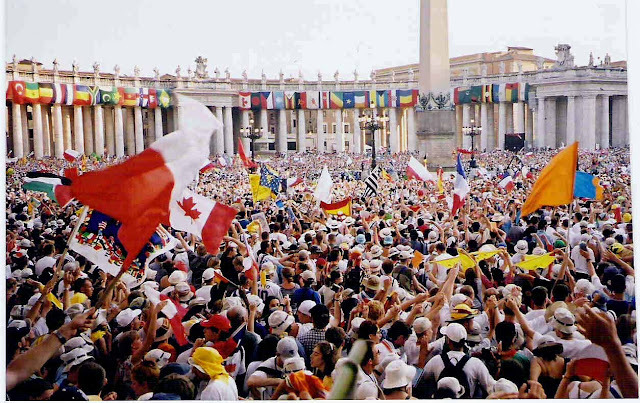 Wow Statistics show - Worldwide number of Catholics Grows to 1.4 Billion People - One of the Largest Religions in the Globe! The Statistical Yearbook of the Church shows that there are more bishops and permanent deacons. The number of priests stable but religious and seminarians in decline. In Asia Catholics are 11% of the population, but vocations are growing The number of Catholics worldwide is growing - there are almost 1.4 billion - the number of bishops is growing -5353 - the number of priests is stable - over 400 thousand - the number of permanent deacons is growing - they are 46.312. Instead there is a drop in the number of religious women - over 52 thousand - the number of religious men - 659 thousand - and vocations - 116,160. These are the most significant data that emerge from the publication of the Annuarium Statisticum Ecclesiae 2016, published together with the Pontifical Yearbook 2018. The first fact is that the number of baptized Catholics in the world has increased from 1285 million in 2015 to 1299 million in 2016, with an overall increase of 1.1%.